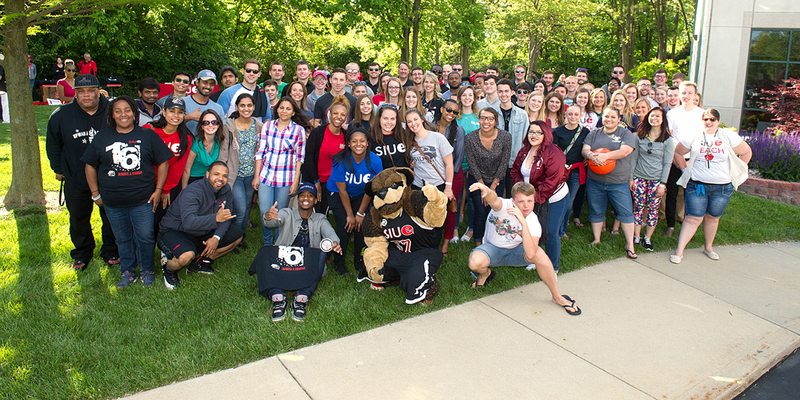 The Great Teacher Award was established in 1970 by the SIUE Alumni Association. It is given to professors who have gone above and beyond the typical classroom lectures. Each recipient has had a tremendous impact on students' lives through creative teaching and mentoring. The recipient receives a monetary award and a commemorative plaque. The Great Teacher Award is open to current and retired SIUE faculty who meet the criteria stated below. The award can also be presented posthumously. No faculty member may receive this award more than once. Please review the list of past award recipients before submitting a nomination. Nominations may be submitted by SIUE students, alumni, faculty and staff. Nominations are accepted until August 31 each year.